You may keep that plastic wrap in your drawer to cover up the leftovers you stick in the fridge, but you might be surprised to discover there is a multitude of ways you can use plastic wrap that you likely never thought of. Did you know plastic wrap can help when packing jewelry? How about using it for cool nail art styles? Did you realize it was a key for effectively removing blackheads? Check out these uses and so many more below. You will be pulling out that plastic wrap a few times a day after you finish reading this! 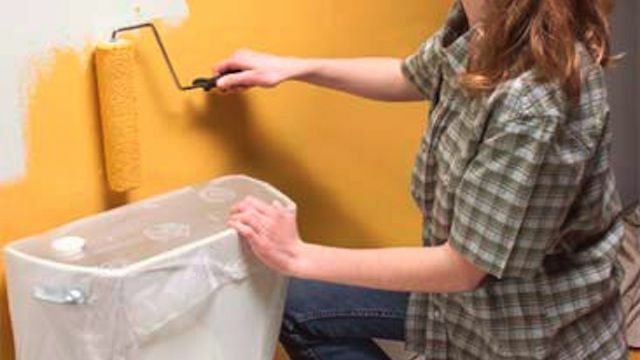 Use plastic wrap to protect things you can’t move when you paint your walls. Keep that sink drain from getting clogged when detangling your hair by covering it in plastic wrap. You can actually get rid of blackheads with the help of plastic wrap. Check it out! Use plastic wrap to help get sharp corners when cookie cutting (or crafting!). It will help with clean up too! Keep that piping bag ultra clean by layering some plastic wrap around each icing flavor first. Use plastic wrap to make awesome water color paintings! Avoid freezer burn on ice cream by pressing plastic wrap against the ice cream before putting the carton back in the freezer. Put some plastic wrap under the caps of all your liquids when you travel to prevent spills. Keep plastic wrap between the paint and the lid to keep opened cans fresh. Wrap the ends of bananas to keep them fresh.